The colorful rollers perk up little hands. 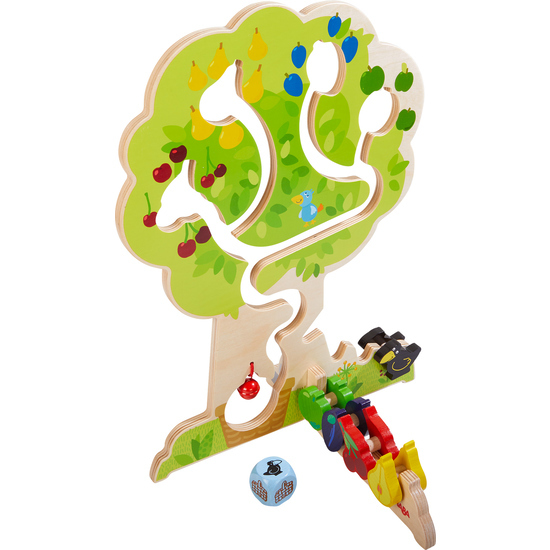 The game is played just like the classic HABA Orchard game. Singly or as a team, the children try to harvest the fruits before the hungry raven eats them up. It’s also loads of fun to sort the rollers by color or to guide them through the treetop every which way. Contents: 1 game tree, 5 rollers, 1 die.